On Sunday, Little Ironman fell asleep in the car on the way back from Toronto. I cringed when we pulled into the driveway as waking him up was likely to unleash an angry bear. “We’re home. It’s time to wake up,” I sang. Without warning, my words were followed by the melody of the ice cream truck. Saved! Little Ironman’s eyes popped open and he jumped out of the car. All it took was one small chocolate ice cream to wake him up with a smile – and send him into a sugar high for the rest of the afternoon. Today, we are on Day Three of temperatures over 32C; that means we are officially having a heat wave. 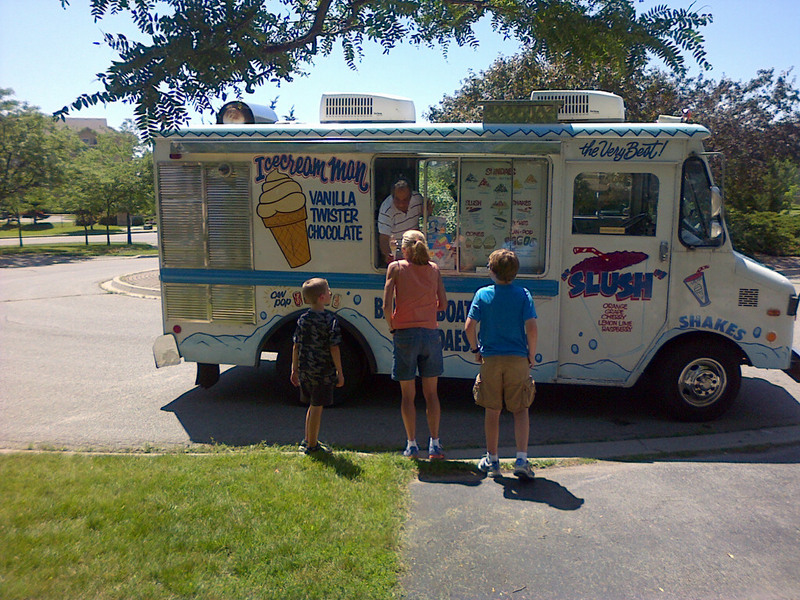 Now, the ice cream truck looks like this. Next Next post: The Downtown Dash: Hot, hot, hot!